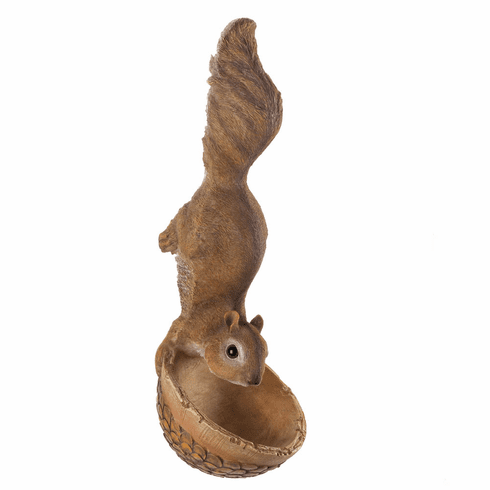 Scurrying Squirrel Birdfeeder Wholesale at Koehler Home Decor. 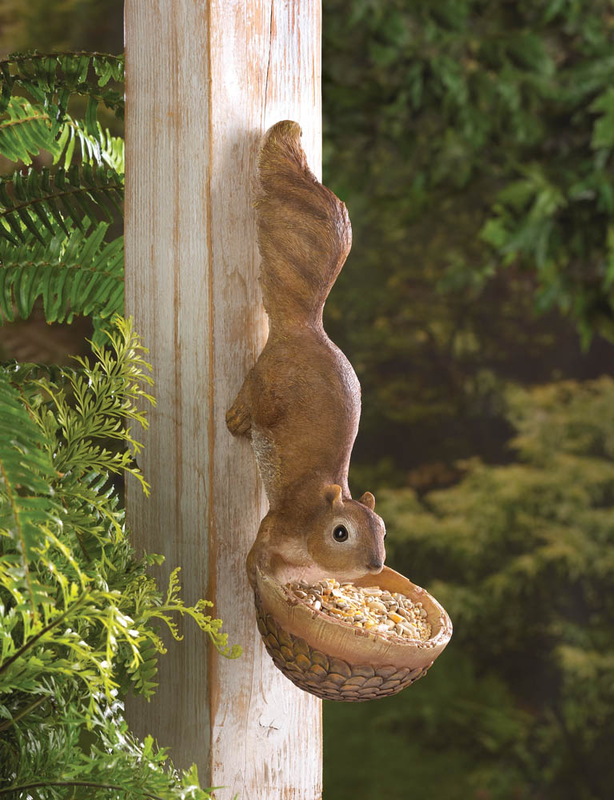 With this charming outdoor accent, you get an adorable sculpture for a nearby tree and the birds get a treat! This squirrel has been caught in the act of running away with a basin full of delicious morsels. This birdfeeder mounts easily to a wooden surface. Item weight: 1 lb. 4½" x 7" x 13" high. Polyresin and stone. Birdseed not included. UPC: 849179019068.